Being arrested is undoubtedly an intimidating and scary experience. 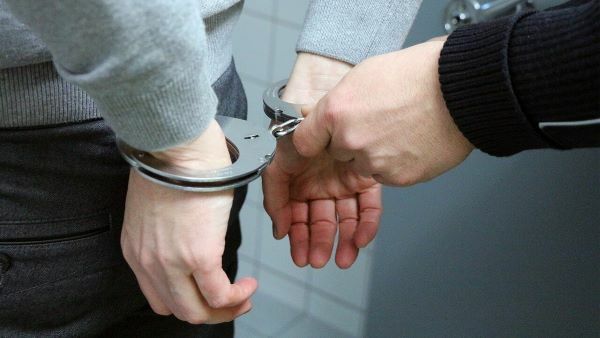 There is a lot of information available about what you should and shouldn’t do and what you should and shouldn’t say if you are placed under arrest for DUI. It is important to know that no two cases are exactly alike and the circumstances surrounding each case are different. Always be polite and respectful to an officer but remember that anything that you say or do can be used against you in court. If you are pulled over by an officer it is because the officer had reasonable suspicion that you committed some type of infraction. At this time, whether the officer suspects you’re intoxicated or not, he or she is gathering evidence that can lead to an OUI arrest. An officer’s physical observations can be used against you to prove OUI. After you are stopped the officer will approach your vehicle and begin to ask you a series of questions. Remember to always be polite and respectful, however, if you are asked questions that can be self-incriminating, you can say that you’d like to speak with your attorney. You do not have to answer self-incriminating questions. It is important to note that you do not have a right to your DUI attorney until after you are placed under arrest. If there is any reason that an officer suspects that you have been drinking and driving he or she will ask that you exit the vehicle and submit to field sobriety tests. An officer could suspect drunk driving based on bloodshot eyes, the odor of alcohol, the presence of alcohol bottles, or the manner in which you were driving. You do not have to submit to field sobriety testing and refusal will not have negative consequences. Politely decline the testing and request to speak with your attorney. If an officer feels he or she has established probable cause, you will be placed under arrest. Probable cause can be established by your driving behavior, your words, your actions and inactions, and physical observations made by the officer. Once under arrest, again remember that anything you say or do is being observed and can be used against you at a later time. Politely refrain from answering questions and ask again to speak with your attorney. Again, no two OUI cases are alike and whether or not an individual should refuse the breathalyzer depends on several factors. If you refuse the breath test, the Commonwealth does not have a blood alcohol content level to use against you in trial. Conversely, your license will be automatically suspended for a time period dependant on the number of previous convictions and whether you are eligible for an alternative disposition. Speaking with an attorney about your DUI arrest can help protect your future and preserve your driving privileges. Ultimately, no matter the facts of your case, you may have a valid legal defense to the charges, or options that may help reduce or eliminate the penalties. Call the OUI Attorneys to schedule a free initial consultation with a network lawyer.